"Don't you deserve the royal treatment?!" 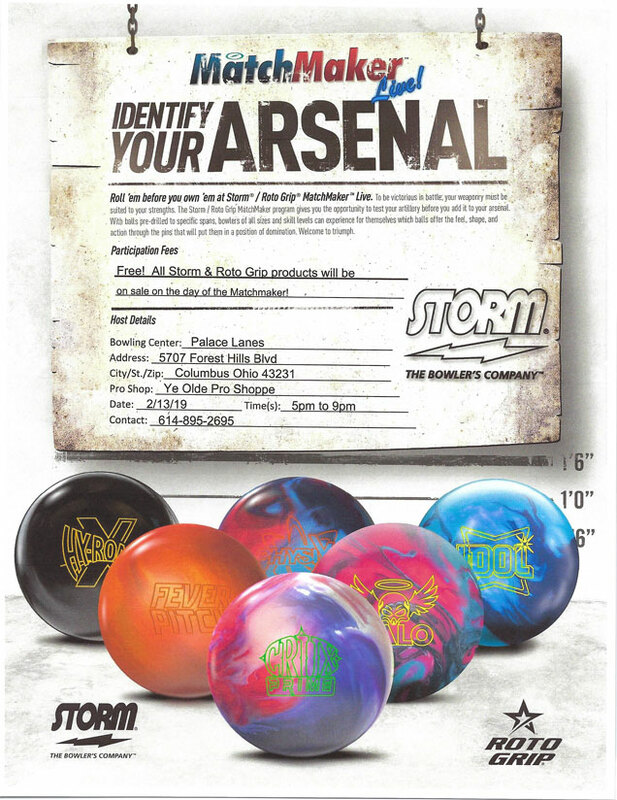 Ye Olde Pro Shoppe is the largest pro shop in Central Ohio and features a full line of bowling balls, bags, shoes, and accessories. We are conveniently located in the east end of the Columbus Square Bowling Palace and also have added a second location at Capri Lanes. Ye Olde Pro Shoppe is owned and operated by Greg Van Gundy, Ron Hatfield, Irion Mitchell, and Keith Miller. We also offer coaching and instruction for all ages and skill levels, and invite you to click on RKH Coaching Group above for more information. So come visit us at Ye Olde Pro Shoppe for all of your bowling needs. Ye Olde Pro Shoppe now has two locations! Same great service and selection, at two great locations! Web design © 2008-2019 DrumBoy Productions All rights reserved.